That was the recent message from Air New Zealand. The poor quality of roads in the provinces and the difficult terrain, means these smaller centres will instantly become quite isolated. The justification for this move was that the small 19-seat aircrafts that service these towns were inefficient and were losing $12 million a year. That may be so, but in the face of such a burden, our flag carrier’s recent full-year ‘normalised profits’ were up 30% to $332 million. So flush with cash is Air New Zealand that they’ve paid out $111 million worth of dividends to their shareholders. This might be a snapshot of capitalism in all its brutal efficiency, except for the fact Air New Zealand is majority-owned by the government. I’m sure there’s an emphatic argument that the economic benefits of reliable air services to these provinces is vastly more valuable to their communities than the $12 million annual cost. So why does the Government need to control our national airline? They (we) bailed them out because they were about to go broke is what most people say. But excepting their ill-fated venture into Ansett Australia, Air New Zealand has enjoyed a long and prosperous history. If they went broke someone would buy them and almost certainly hold onto the brand, such is its standing. The best example of this is Swiss Air – once dubbed the flying bank – who essentially went broke, failed to declare neutrality and was invaded by the Germans. Their owners Lufthansa had the good sense to keep the brand and are doing very nicely out of the deal. When you board their flights, you’ll still get a polite Grüezi. To the casual observer everything is as Swiss as the day they started. Probably the government retain control of Air New Zealand because it’s popular to do so. The current crowd favour popularity over principles, but that’s not an entirely rational reason for anything. The best basis for the public sector to own something is that there are key public good obligations, or that the assets are a critical part of NZ’s infrastructure. Both of these aspects seem to have been ignored by Air New Zealand in their latest decision. They’re going to press on and maximise profit. Such an objective is politically sound. Nobody likes a rate hike and that is a certainty if the Port fails to deliver the dividend. Using the port as a cash cow is neither the right approach, nor is it likely to be sustainable. What should be front and centre for all publically held assets are their public good obligations; and this well before profitability, dividends or growth. In 2011 the Ministry of Transport released a report on container productivity at New Zealand ports. A key measure of performance for container traffic is the ‘Crane Rate’ – the number of containers that cranes move on and off a ship in an hour. When compared with five other domestic ports and five from Australia, the Crane Rate at the Port of Napier was the worst. That’s really important because it’s a key consideration for shipping lines. The more freight you can load and unload in a given time, the more money they make. They don’t want to call at ports that are inefficient. Slow loading rates are not the end of the world though. In New Zealand we have more flexible labour conditions and lower wage rates which help profitability. The port management and directors also seem to have excellent long-term plans in place and have significantly improved their productivity since the report was released. Often a poorer performance on this sort of metric only indicates that a port lacks the container numbers that would justify investment in more efficient loading systems. The Port of Napier is small and not easily comparable to larger ports across Australasia. The preferred port infrastructure makes use of straddle carriers and gantry cranes, like you can see at Ports of Auckland. Here we use giant forklifts and more conventional cranes. They’re not as efficient, but they’re a whole lot cheaper. The threat on the horizon is brought about by the irrepressible trend towards containerised shipping. If this continues at the current rate, the pressure to invest in gantry cranes will mount. Such an investment is vast (upwards of $95 million) and would require the port to take on a great deal more debt. It might be prudent in such a situation that they reduced or suspended dividend payments to allow for rapid debt amortisation. In the HBRC, I don’t think we have a shareholder with an appetite for such decisions. The Port needs patient, longterm shareholders; preferably ones that don’t rely on the annual dividend. 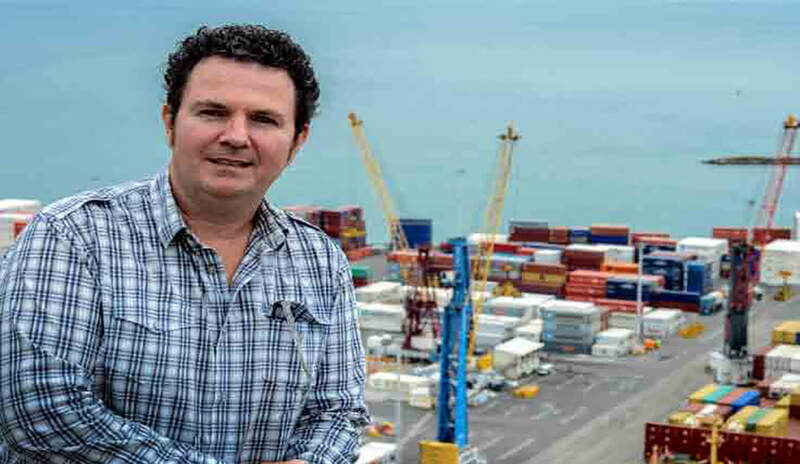 Recently retired chairman of the Port of Napier, Jim Scotland, has spoken openly about the potential for additional port shareholders, citing iwi as one good prospect. The best port shareholders would also be those that are committed to the port’s public good obligation – to serve the needs of the industries that make our regional economy tick. Perhaps that should be our local body politicians, but they can be a short-sighted and unreliable bunch. Many people in NZ like the idea of government ownership as they see the public sector is benign and caring, while the private sector is soulless and greedy. A tenminute glance at any history book might be enough to demonstrate their faith in the public sector is misplaced. If the port were owned by the businesses that used its services, the port activities would be much better aligned. Moreover these businesses have the long-term thinking and depth of capital to invest in infrastructure should it be required. I’d suggest a model where companies could only be shareholders if they used the port services and with each individual shareholding capped at 5%. Such measures, enshrined in the port’s constitution, would protect against corporate raiders and profiteers. Similar structures exist already in companies like Zespri and Fonterra. Under this model the port shareholders might include Watties, Mr Apple, PanPac, Villa Maria, Progressive Meats and a raft of smaller players. Such a diverse base would ensure a stellar board of directors and extremely robust shareholder meetings. Me too. So let’s sell the port to the best Hawke’s Bay custodians we can find.